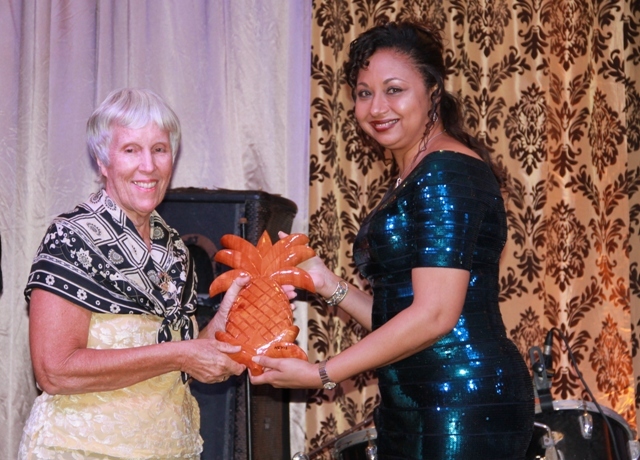 NIA CHARLESTOWN NEVIS (JUNE 01, 2016) — Pamella Barry, patron of the Ministry of Tourism’s Awards Gala and Dance says Nevis will always be a one-of-a-kind place to visit. 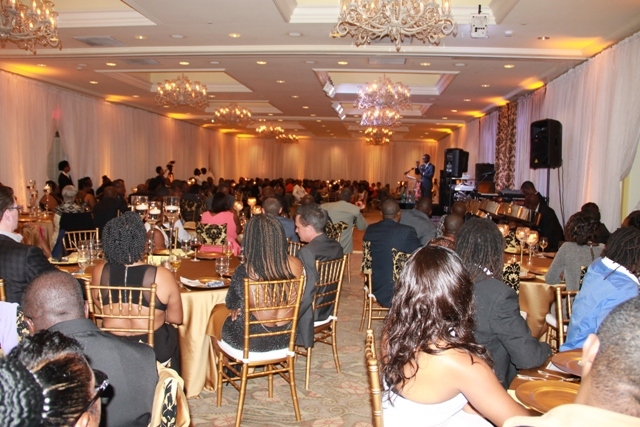 “Nevis will always be a unique and unusual place to come and visit because of the smallness, because of the personal attention you get from ‘Jam Dem’ and people like that who make noises in the streets or call you or make a rhyme about you or people at the different hotels that really try to connect with the guests. They are not in a rush to do their jobs and just get their pay cheque and that’s the most important thing,” she said. According to Barry, when she first visited Nevis in the 60’s, donkeys were the ultimate mode of transportation. There were no buses, only trucks that turned into buses on weekends and there was no electricity in the homes. That did not deter her and she subsequently returned with her husband to live and work on the island. Apart from owning and managing the Golden Rock Hotel, Barry did all she could to promote the island’s tourism product. However, she assured she would continue do all she can to assist the island’s tourism despite her retirement. “I’ll be behind the scenes trying to make different things happen – like maybe new hiking spots or find artists, maybe be able to sell something for someone if they come, like young people. Maybe encourage them, when they have the ability but don’t think that it’s something that they should be interested in very much. “Nevis is going to continue to be a special place and I will be here, I guess forever, until they put me in across from Rams Supermarket,” she said. The tourism awards patron is selected based on the individual, company or organisation’s diligent work to ensure prosperity of the tourism industry and give freely of their time and energy to champion the interests of and enhance the industry.